We Buy Houses Mount Vernon And In Other Parts Of NY. We Buy Houses With Cash, So We Can Close Quickly. You Won’t Have To Wait Months To Sell. If you need to sell your home fast, we can help. We are home buyers who have cash funds ready and waiting to buy more properties. Our cash offer allows us to close on your property SUPER FAST! We don’t have to wait for a bank to approve financing because we have cash, which allows us to close quickly. We buy houses regardless of the condition, price or location. So we won’t ask you to make any repairs! As our team takes care of any repairs after the house is sold. We don’t mind if you need to sell quickly or the reason why you need to sell. You get to decide the closing date that works best for your timeline. We help homeowners who are going through difficult situations. If you are facing foreclosure, inherited an unwanted house or are always falling behind on mortgage payments our cash offer gives you options to sell quickly and settle with the bank. We help people facing these kinds of situations all the time. We listen to what you are particularly going through with your property. Then we explain how our offer gives you options to sell your home quickly and salvage your situation. We want you to be able to move on from your burdensome home and get your peace of mind back. How To Sell My House Fast in Mount Vernon, NY. We can buy your house fast and help you move on from a stressful housing situation. Our cash offers allow us to close faster than selling on the real estate market with an agent. Selling with an agent can take several months and there is no guarantee they will sell it. But with our cash offer, we are the buyers who can buy your home fast. We don’t have to use banks or mortgage companies to get financing in order to buy your home. We have cash funding ready, so we can skip the financing step. Banks can hold up financing at the last minute before closing because of missing paperwork. We don’t ask you to make any repairs, so you won’t have to spend your own time or money fixing your home. We take care of those details after the house sells. These two things help us close quickly, allowing you to sell your house fast and move forward with options. With our offer, we don’t charge a commission like the real estate agent. We also cover any closing costs but when selling with an agent, you have to cover those fees. Combined those can easily add up to be thousands of dollars. We simply want you to be able to sell your house fast and move on from a burdensome housing situation. As soon as next week you could be picking up your check at closing! Then you can go for a celebratory pie at Johnny’s Pizzeria – we’ll even pick up the tab! We help property owners just like you, in all kinds of situations. From divorce, foreclosure, the death of a family member, burdensome rental property, and all kinds of other situations. We buy houses in NY… including Mount Vernon and surrounding areas and pay a fair cash price, fast. Sometimes, those who own property simply have lives that are too busy to take the time to do all of the things that typically need to be done to prepare a house to sell on the market… if that describes you, just let us know about the property you’d like to be rid of and sell your house fast for cash. Cash for Homes in Mount Vernon Buyers – Will I Get A Fair Price? 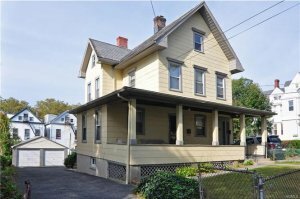 Who can buy my home with cash in Mount Vernon NY?